Article Note: This article was first published on 21st October 2015. We have last updated this article on 21st June 2018 with fresh information. 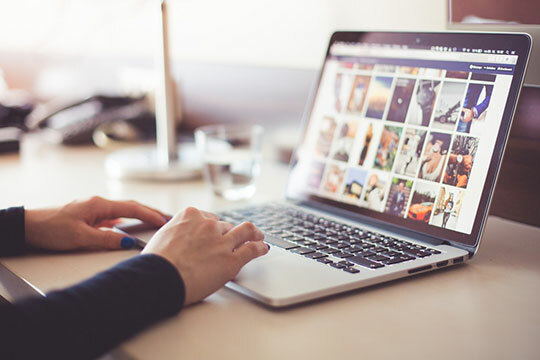 If you are searching for some good and renowned image hosting and sharing websites then here we are listing some of those websites. Along with the name, you will get to know some of their highlighted features which are making them the top 13. So, knowing after their features and detailing sections, it might help you to take a decision which will help you to make your work of image uploading little bit easier and safer. Imgur is very popular among image uploader. As a free uploader, you can enjoy the privilege of uploading and share pictures on their site. Moreover, as a paid member you will also get some extra advantage. It is also very easy to upload images in a very less time. Please visit their site for getting more of their detailed information. Flickr is also equally important and useful image hosting site for those who want to share their images and videos with the world. Those who are having Yahoo account, they can easily login to this site. Flickr is having three type of account. One is free, the second one is Ad free and the third one is the Doublr. Photos and Videos storage capacity is 1 Terabyte. You can upload photos up to 200MB per photo. The videos quality will be up to 1080P HD quality with up to 1GB each. 3 minute each video playback facility. The upload and download quality will be full original quality. And last but not the least is the facility of unlimited monthly bandwidth. Please visit their site for getting more of their detailed information. Recommended for you: Is it a Good Practice to Use SVG Images in an Android Application? DeviantArt holds the third position in the list of image hosting sites. Users can upload unlimited images but each should not exceed more than 30 MB. And this is for all types of account holders. Please visit their site for getting more of their detailed information. PhotoBucket is placing the fourth position. In this site, free account holders can use up to 10GB of bandwidth per month with 2GB storage capacity. They are also having pro account facility. Those who want to become paid members they can become pro account holder. Please visit their site for getting more of their detailed information. Unsplash is a site devoted to distributing totally copyright-free pictures under the Unsplash CC0 license. The website privileges 70K+ photographers and contributing 5 billion+ photo impressions every month on their rising library of 500,000+ photos. Unsplash has grown into an industry-leading photography community. It has become a source of inspiration for millions of creators worldwide. They allow photographers to upload pictures to their website, which are then moderated by a crew of image editors. The liberal copyright terms on its images have led to Unsplash becoming one of the major photography providers on the Internet. It has been cited as one of the world’s leading photography websites by Forbes, Entrepreneur Magazine, CNET, Medium and The Next Web. In the sixth position, PixaBay is there. In this site, you can share high-quality public domain photos and can also freely browse and downloads photos and videos. You can also become their registered members to avail more facility from them. Please visit their site for getting more of their detailed information. In the seventh positions 500px is coming. In their free account, you can enjoy up to 20 uploads per week. And in their paid accounts you can enjoy unlimited uploads facility. Please visit their site for getting more of their detailed information. In the eight positions, TinyPic is placing stable positions. This is very reliable, fast, and easy image hosting site. You will no need to open an account or login for uploading any images or videos for sharing. So it is easy and convenient for using. Please visit their site for getting more of their detailed information. You may like: 6 Tips to Boost Your Site’s Conversion Rate Using Images. Introduced in the year 2001, freeimages.com offers a strong platform for people who can exchange their images for the purpose of work or motivation. Today, the site features more than 400,000 images online and around 2,500,000 users already registered on it. If you are a contributor then you can share your work on site. It lets you get incredible exposure as a lot of designers, developers, webmasters, and journalists browse through your images. If you are a user then you can access high-quality images and download them for free. Apart from generic categories of images, freeimages.com features some unique niches such as textures & patterns, signs & symbols in its extensive collection. Pexels works with a single objective – to help designers, bloggers and anyone else looking for images. The website offers thousands of photos that can be downloaded for free. Till today, millions of people have taken advantage of this open-source platform to download images variety of niches. Anyone looking for an image can use the site to find great photos that they can use everywhere for free. Photos that are submitted to the website are submitted under the CC0 license. This license implies that all pictures are free for personal and commercial use. Attribution is appreciated but not required. The website started in the year 2015 and it has grown to develop a reputable stock photo library since then. Users can not only get images present on Pexels website, but they can also access images which are outsourced from other photo libraries. This is something that separates Pexels from other image hosting and sharing websites. This website is very popular in South America and it is mainly a photo blogging site. In their free account, you will get up to one picture uploading facility per day. This free account version is ad-supported. And if you choose to be paid members you will get options of uploading 6 pictures per day. Please visit their site for getting more of their detailed information. PxHere is also one of the popular image sharing websites, mainly due to the freedom of use of images. A user downloading images from this website can freely use them commercially or personally. This is one of the very rare features that very few websites offer. All the images are released free of copyrights. You are free to use images for personal as well as commercial use without asking for creator’s permission or assigning a credit. To download the images, you are required to create an account on PxHere. The account creation is also free. Once you are logged in, you have access to hundreds of thousands of high-quality images contributed by hobbyists as well as professional photographers. In a very less time, PxHere has become a favorite platform for both image seekers and image uploaders who want to share their work with other users. You may also like: How to Optimize Image to Improve SEO for Better Rankings. This is the site where photo sharing service and communication portal is free. As a free user, you will get 50 MB email space and photo storage is up to 3000 MB. And if you take the membership you will get unlimited storage capacity in $30. Please visit their site for getting more of their detailed information. A good image sharing and hosting website gives users a convenient way of storing, accessing and sharing photographs easily. Few image sharing websites offer basic editing capabilities while others provide advanced features. As each image sharing website works differently, you need to understand your requirements before choosing one. There are several factors that you will need to consider including types of files allowed, file size, storage size, ease of uploading, cost and more. Some sites also allow users to earn from their photographs by selling them. Research for image sharing and hosting websites and find out which website provides you a value for money deal. Above mentioned list of image hosting and sharing sources will definitely help you to achieve your goal. This article is written by Ranjana from RSReview.com. In this article, she shares her experience on some image hosting online services. Hopefully, you find her lists valuable. Thanks for putting this together Souvik, we’re always on the lookout for additional resources! This article is from June 2018, you say that Imgur has a paid extra option. Imgur stopped their paid subscription in 2015. How did you do your research, or you just copy old articles and repost them? We are really very sorry for the inconvenience you faced. Actually, this article was first published on 21st October 2015. We have last updated this article on 21st June 2018 with some other image hosting options. Another great free image host is https://freeimage.host. Thank you for the great list. I have tried Imgur, and TinyPic for a while and by the way, I would like to share with you Imgixx you can upload multiple pictures at the time their server is very smooth and fast. and they accept image gif hosting and all others images extensions. Please cross out Photobucket; it has already died. I’m not paying for 20,000 (pesos) for their plan. They still have a free plan with 2GB storage. For more space, you need to buy the pro plans. Is it possible to get back up from Panoramio? You can link your Panoramio account with your Google+ account. Then it will automatically copy your all images to the Google Album Archive. Yes, I’ve tried imgcave. Works well! Thumbs UP! IMGcave is one of the best for me. It’s free image hosting website that offers unlimited bandwidth picture hosting. I found this one with 120mb limit https://imgrpost.com/, and you can also upload directly from smartphone or tablet, and no sign up required, unless you want to create an album. I host my images at http://img.justpaste.me. It is fast, with two clicks you host image or gallery. You can protect gallery with a password (no direct links to images, ) or public (fine for portfolios). The best site I’ve been using lately is http://photoland.io which is the 80MB limit and ideal for all types of images & gifs. I can also create private albums in my profile which allows me to store basically all my photos for free. I’m using uploadsheep.com, it’s totally free! max 15 mb picture. Just to update this post, Panoramio is closed, and Pinterest.com can be included in this list. Otherwise this is a really good list. Thanks for sharing. Thanks a lot for your update! This will really help our readers. https://uploadit.ga is also pretty good. 50 MB size limit, Accounts (optional), Free, No ads, Secure, Unlimited Hotlinking, URL Uploader, Good design. I have been using http://www.ezphotoshare.com for a while now, works well to ensure only the family can see my kids pictures. You should’ve added https://imgpile.com to the list. Great premium features, 0 downtime, hotlink support, direct link, 50MB max file size support and 100% free. P.S. I am not in any case connected to the administration of this website, just sharing the experience. Heard of free picture hosting website PicShare by HatchedEggs? Free image hosting – http://www.swiftpic.org – hot-linking, URL uploads and more.